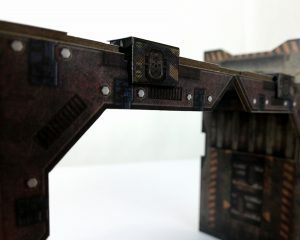 Last post I introduced how the individual panels of our wargaming terrain Metro Morph is connected together through a series of plastic clips. This post will be covering one of Metro Morphs driving design principles, modularity. From its inception I wanted Metro Morph to be as customisable as possible. I wanted the option for players to be able to put together their own unique structures as they saw the need arise. 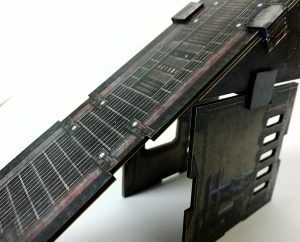 I wanted Metro Morph to be absolutely modular. Because the system has been carefully designed using a series of set lengths and regular shapes, I’m happy to say this goal has been fully achieved. 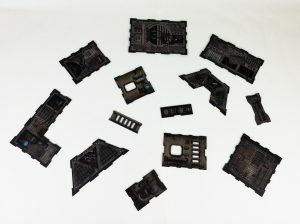 Every Piece of the Metro Morph system can be used in conjunction with any other to produce varied and interesting terrain pieces for your tabletop wargame of choice. 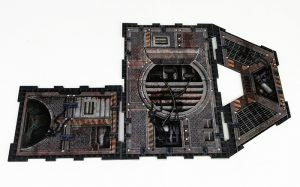 What this means is that players are able to experiment with different building types to come up with assemblies which best serve their needs for any particular game they desire. Not only is this incredibly useful, but the act of putting together new and unique buildings is incredibly fun. There have been many times during the development of the project where moments have occurred where I think, “I wonder if those bits could go together?” Only to be pleasantly surprised they can. While this is ultimately secondary to the final product I found it hugely enjoyable and almost relatable to earlier experiences with Lego blocks. If you haven’t checked it out yet, our animated video on modularity really paints a clear picture of the full flexibility of the system to achieve really varied structure designs from the same base components. 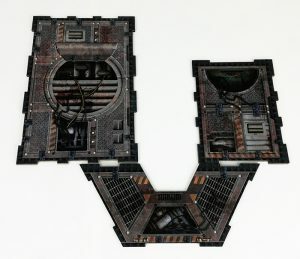 The following pictures should further demonstrate this, by showing how just 3 different floor panels from the Metro Morph system can be used to make a variety of unique terrain shapes. That’s modularity, an important piece to the Metro Morph system and something I think you are really going to enjoy playing around with. 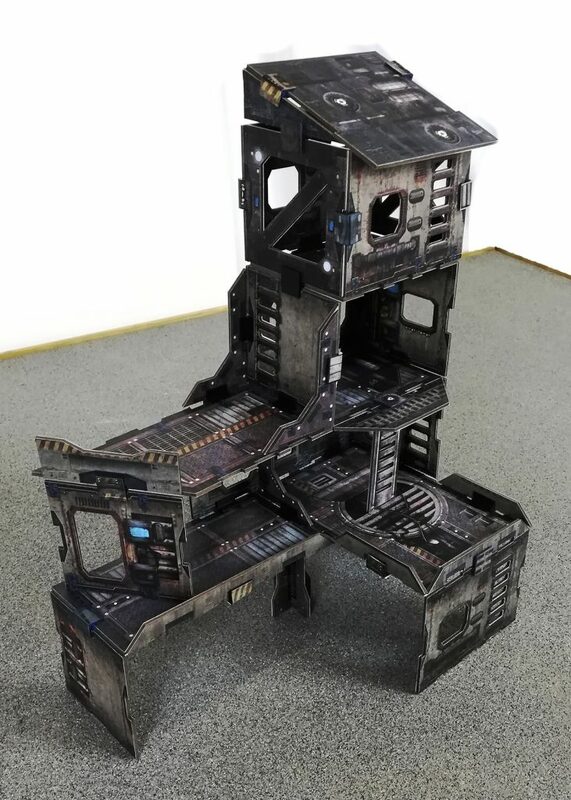 As the potential of different build options becomes more clear, I’m really keen to hear what kinds of terrain pieces you’d be most interested in making. Let us know.